A really nice and peaceful place. good rooms and nice personal. Can highly recommend it. shower is a little small, price a little to much for what you get. It’s very convenient and close to bus station, city center,national park. The breakfast is a big portion. The staff is friendly. It’s a quiet place . If I go to Killarney again,I would stay here again. I loved this place! Great location and great breakfast. Very friendly owners and staff. I was there for 3 nights and everything was perfect for me! - The room was clean and lovely, with plenty of amenities. - Breakfasts tasted great! I could choose one from several options including traditional Irish breakfasts. - It is located very near the Main Street of Killarney town. It took me about only 5 min walk to get there. - They were very responsive to my enquiry on mail. - And most of all, all the staffs are kind and helpful. They even gave me basketful of sandwiches and fruits, since I had to leave very early in the morning! The Gardens B&B, thank you very much and I just can’t wait to visit you again in my next trip to co.Kerry in a few years! I've stayed at the Gardens B&B twice now and my experience was great. Everything runs smoothly in a timely manner and everyone is very friendly. John and Sandra take great care of their guests and went above and beyond in helping me with other matters unrelated to my stay there. The location is great, taking only a few minutes to walk into town, and it's great to have the garden to relax. 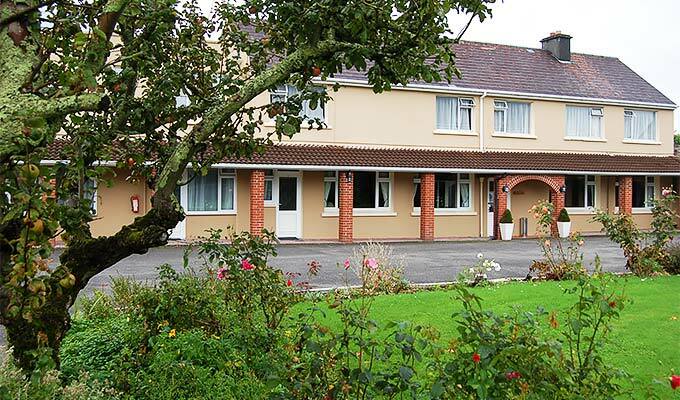 Excellent location, easy walk from bus station, and close to Killarney House and its beautiful gardens, tour operators, and restaurants. Good breakfast provided to start the day. Very nice and accommodating hosts. Impressed that when they learned I would be leaving very early in morning to catch bus and thus missing breakfast, they made, and delivered to my room, sandwiches and fruit for me. A very nice touch. Would definitely stay there again. Nice and clean B&B! The breakfast was very good, and it was just a short walk about 5 minutes into the town center with lots of restaurants, bars, and shops. The hosts were very helpful. Nahe des Zentrums und doch ein wenig abseits und ruhig gelegen. Sehr nette und hilfsbereite Hosts. Ausgezeichnetes Frühstück. Zimmer waren sauber und gemütlich. Der Aufenthalt hat uns sehr gut gefallen. We loved The Gardens. Rooms were very clean and had everything needed. Lovely garden with chairs and 2 common rooms for relaxing, or book reading. Many choices for breakfast. 2 minute walk to Killarney town, shopping and restaurants. John and Sandra were welcoming hosts and very helpfull with our plans. Brilliant stay in your guesthouse. Will definitely be back and we will recommend it to friends And family. Lovely hosts and staff. It was the best irish B&B that I've booked in the last time. Evrything was totally perfect, thank you so much for this loveley experience. Nice place, great location, large parking, super helpful owners. The Gardens was a perfect spot to visit Killarney, close to everything, clean, friendly and beautiful breakfasts. We will be back for sure. Nice place, close to the town centre, welcoming people! Sorry for answering so late. We very much enjoyed our time in 'The Gardens'! Everything was fine, the garden, the rooms, the breakfast extraordinary fine! and mostly impressive and heartwarming the friendly and helpful manner of all the nice people who made us feel like being at home! Very nice B&B! Perfect Location, very quiet but very easy to reach the city center. Beautiful garden, good breakfast. I stayed there with a group of 8 persons. All of them enjoyed this B&B very much. We enjoyed our stay to the fullest. Service and Rooms were both Great. The Ambiente was Nice. The owners were super friendly and very supportive. Next Time we go to Ireland and come to Kilarney we will definetely stay at this b&b again! Great location. Great gardens. Staff was pleasent and breakfast was excellent. The only downside was that the room was a bit chilly and the wifi didn't reach the room. The Gardens is a true 'gem'. The owners and staff were very friendly and very helpful. Would stay there again. lovely & peaceful place to stay.staff very helpful. wile breakfast was very nice i would recommened that you include black & white pudding. Had a wonderful stay. Loved the ground-floor rooms we we lucky enough to get. The Gardens is very close to the main street in Killarney--easy walking distance. The hosts were very attentive and helpful. I'd definitely recommend this B&B. Pretty pleased about the heartful welcome and the help provided by the owners to plan our trip around south-west Ireland. Walking distance from city-center, nice and clean rooms, full Irish breakfast other options as well and a very nice garden and view on the mountains. Great having our own front door!! and the location couldn't have been better, it's only minutes from the main street and had ample parking. The room was very small for 2 people , bed pushed against the wall . Very basic , more like a single room. Breakfast was okay. Good location however. The Gardens was the perfect place to stay during our trip around Ireland. I couldn't have asked for a better location as it is literally a 3 minutes walk from the town centre. We felt welcomed by the amazing staff and enjoyed two great nights there. I would visit again the next time in Ireland!! We stayed at tThe Gardens for two nights, enjoying the staff's kindness and the whole place. The hotel is nice and clean and very near to Killarney's centre, and it's not too expensive, so we would suggest to stay there and enjoy the Kerry county. My second stay at the Gardens B&B.Hope to go again John,Sandra and the staff are very helpful and pleasant.1st class breakfast each morning. The room and shower was very good and we had no problems at all.The location in the town was great we could walk to train and bus stations.1st class B&B in a 1st class town. Great place to stay, fantastic value, good breakfast, John and Sandra are such lovely people, and so helpfull, very comfortable beds, and the room was spotless, I stayed there recently and have often stayed there over the years when we visit Killarney. Great location, peaceful and lovely garden, yet right next to city center. Very helpful and friendly hosts. Good and filling breakfast. I had a very pleasant stay at the Gardens from 27th to 30th May 2015. A low fare for a pretty room and an excellent irish breakfast. John, the owner, is fantastic and helped me a lot. Absolutely recommended for quality ,and position: you can go every where by foot. sehr gute Lage, ruhig und doch direkt am Zentrum, saubere Zimmer und freundliches Personal! B&B très proche du centre ville. Accueil très sympathique, chambre propre et confortable avec une jolie vue sur les montagnes. Petit déjeuner copieux et varié. Very good service, good irish breakfast, ample parking, close to town centre. A Basic, Homely place to rest your weary head. Great place to stay. Very central. John and Sandra are the best and very helpful with good infomation, breakfest was grand. Would stay there again. Great value for money and all around an excellent B&B! Extremely friendly staff, John has great recommendations of what to do in Killarney and was kind enough to accommodate a backpacker who needed to leave his backpack in the B&B to explore Killarney freely. Stayed here while in town for a nearby wedding.Nice B&B, buildings and decor a little dated but clean and cheerful. Reasonably priced. Rooms have their own door to the garden so more like a motel than a B&B. Good WiFi. Owners very friendly and welcoming. Good Breakfast. I would stay again. This B&B is in an excellent location, very close to the town centre.It is very reasonably priced. The owners are a lovely couple who go to great lengths to accomodate your requests, or requirements. I have stayed there now on three occasions. Very central near the train station and easy to find. Nice garden and room. The breakfast was good and the couple that run the B&B and their daughters were very friendly and helpful. I would definitely come back and recommend it to my family and friends. We found are stay in The Gardens B&B very relaxing and in close proximity to the town of Killarney. John the owner was very helpful to us in organising our day trips around Kerry. The rooms were very clean and the breakfast each morning was gorgeous. We will definitely stay here again on our next visit to Killarney. It was beautiful, clean and the owners were very friendly . We stayed here with a tour group in 2010. The location was excellent, the facilities very private and quiet. The owners were very gracious and the breakfast was outstanding. Very pretty and cozy dining room. We enjoyed our stay very much and hope to return soon. This is probably the nicest B&B we have stayed in. We stayed there several times a few years ago and nothing has changed. The owners are extremely hospitable, rooms are cleaned every day, breakfast is 2nd to none. We will definitely be staying there again and would highly recommend. Although it is in Killarney Town its exact location is very secluded.